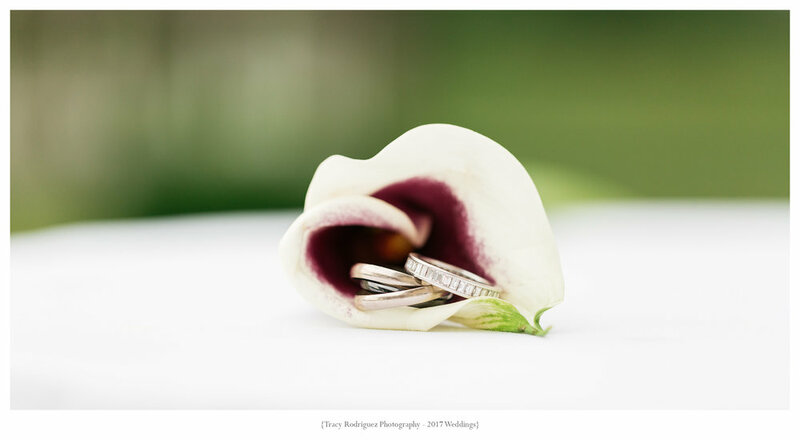 George and Jose were married last month at the beautiful Endicott Estate in Dedham, MA. 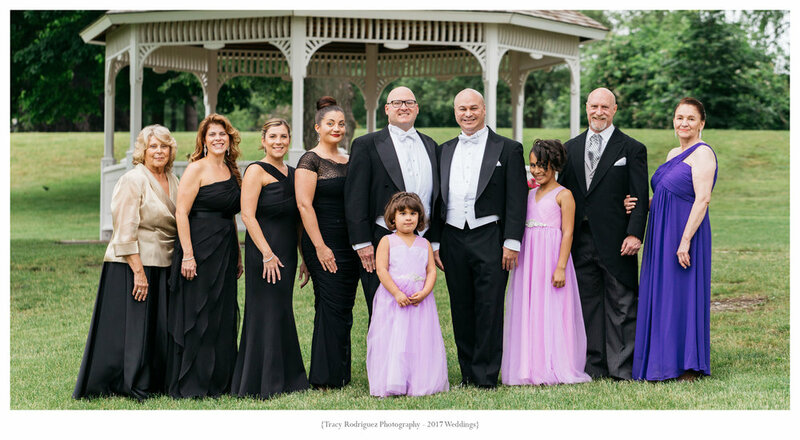 The overcast skies provided the perfect lighting to photograph the handsome couple and their family and friends outside, taking advantage of the grounds of the estate. 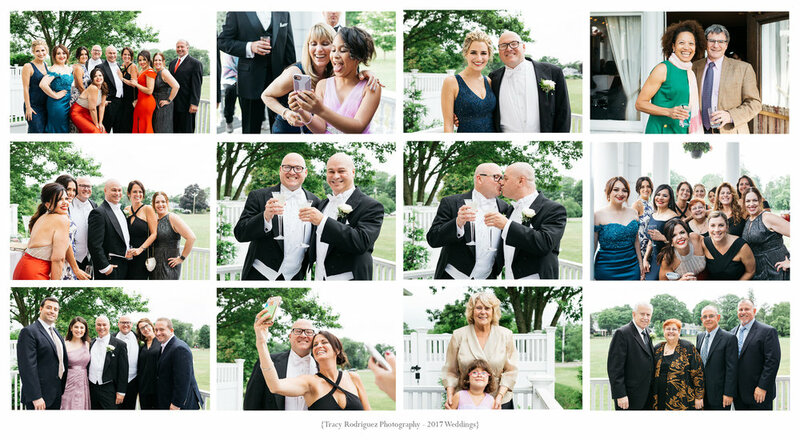 Their ceremony followed on the front lawn where the couple exchanged vows and rings and were pronounced husband and husband with smiles and cheers all around. 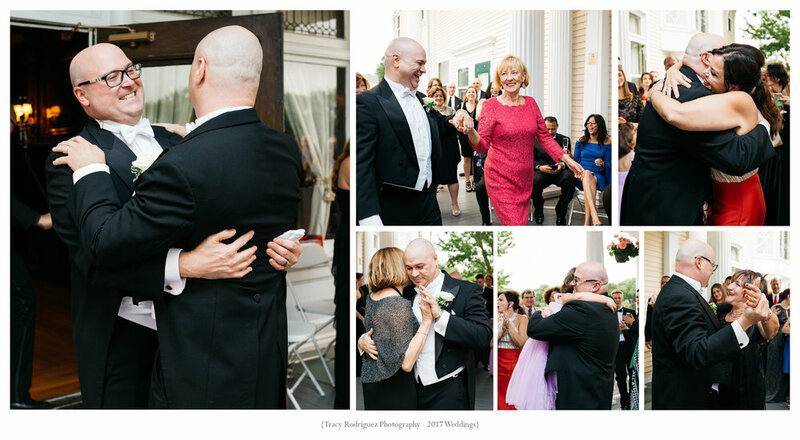 And while they learned just a few weeks in advance that the Town of Dedham was going to be celebrating Flag Day on the same date with a parade and fireworks surrounding their venue, the couple embraced the ciaos, and even enjoyed the marching band heard in the distance during their ceremony. It helped that George met his Maid of Honor while both playing the piccolo, a unique sound we could hear in the band, so the whole thing was entirely perfect.Congratulations, George and Jose! And now some previews from their wedding day! Enjoy!